9 July 2013, Melbourne, Australia – The world’s most sensitive radio telescope, the Square Kilometre Array (SKA), came a step closer to reality today with its first precursor telescope officially starting observations of the Universe. The Murchinson Widefield Array (MWA) will explore the early Universe looking for signals from the first stars and galaxies, which formed after the Big Bang. It does this by collecting the very faintest radio signals from deep space using more than 2000 antennas. MWA is an important pathfinder project for the SKA, the world’s largest radio telescope which will operate in South Africa and Australia and will be 50 times more sensitive than any other radio instrument. Australian Minister for Innovation Senator Kim Carr launched the MWA operational phase from Melbourne, Australia today. “This is an incredibly proud moment for Australia. The MWA is the first SKA precursor telescope to be completed and to become fully operational,” Senator Kim Carr said. More than 350 astronomers and engineers from Australia, the United States, India and New Zealand have collaborated to make the project a reality. Several Labor Government initiatives have contributed to the success of the MWA including the National Collaborative Research Infrastructure Strategy, the Education Investment Fund and the Australia India Strategic Research Fund. Senator Kim Carr said it showed how investment in one piece of Australian infrastructure could produce world class science outcomes in another. “Without the NBN link between Geraldton and Perth, the MWA would not have been possible,” Senator Kim Carr said. The Murchison Widefield Array (MWA) is a low-frequency radio telescope operating between 80 and 300 MHz. 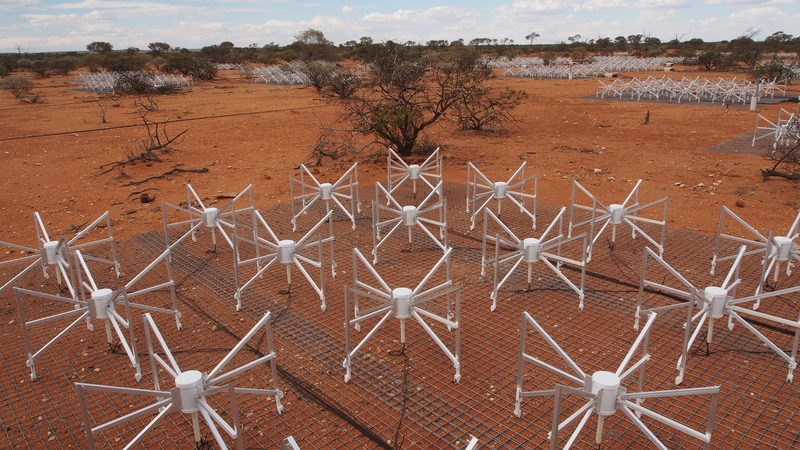 It is located at the Murchison Radio-astronomy Observatory (MRO) in Western Australia, the planned site of the future Square Kilometre Array (SKA) lowband telescope, and is one of three telescopes designated as a Precursor for the SKA. The MWA has been developed by an international collaboration, including partners from Australia, India, New Zealand, and the United States. It is entering final construction and will be fully operational beginning in 2013.